When Daniel Craig made his debut as the legendary agent James Bond in 2006’s Casino Royale, he was a revelation in a number of ways. He was blond, first of all, which caused a level of consternation among Bond faithful that seems truly embarrassing almost a decade later. He was willing to do many of his own stunts. He was also grittier than his predecessor, Pierce Brosnan’s highly popular but increasingly cartoonish take on 007, both emotionally and physically. His fraught relationship with both Vesper Lynd and his calling as a spy made him seem almost human compared to many past Bond incarnations. And his scrappy, practical fighting style managed to be both a throwback to creator Ian Fleming’s original vision and modern enough to keep up with the current cinematic combat climate. 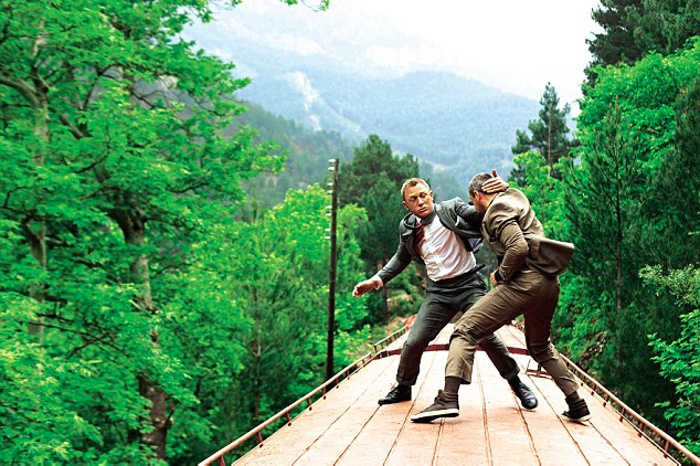 They key to Bond’s fighting style has always been that he’s a master at no particular art, but skilled enough to handle himself in a street fight. In the original books, Fleming described the agent as having some level of training in jiu jitsu and boxing, which would have been in line with the type of hand to hand combat instruction that the character would have received during his military training at the time. Craig’s Bond shows the occasional knowledge of specific technique—he performs a decent rear naked choke on baddie Steven Obanno at one point in Casino Royale and showed off some Filipino martial arts techniques against a knife-wielding killer in 2008’s Quantum of Solace—but he mostly engages in wily street-fighting and self-defense-based skills that would be in keeping with his current background as an ex-Special Boat Service operative. The actor didn’t rely on Krav Maga alone to help him develop his now iconic speedo-sporting physique, though. He also worked with the man who helped Brosnan and Brosnan-era Bond Girls like Halle Berry and Denise Richards get in shape for previous films in the franchise, personal trainer and former Royal Marine Simon Waterson. "As an ex-military man, I think I was uniquely placed to understand the discipline, mental strength and stamina required in order to train to become the ultimate cinema super spy, James Bond. Luckily, Dan was no shirk when it came to hard work, so I devised a programme that had diversity and would suit the role of Bond, pushing him to his limits and beyond, like the character demands,” Waterson told GQ of the experience in 2011. “Dan had briefed me on his goals, and was determined to get stuck in. No stone was left unturned in terms of developing speed, strength, stamina and a sharp, focused mind. I'm a stickler when it comes to attention to detail, so posture, definition, movement and confidence were at the top of the list. I also wanted functioning muscle - there's no point in having great muscles if they can't be used in a beneficial way like speeding across the ground, climbing, jumping and fighting"
He went on to say that his preparation for what would become Quantum of Solace was going to be a little different. "Last time I did a lot of weights to bulk up because I had to do it quickly. This time I'm going to do more boxing and more running. I need to be physically strong for Bond and, as much as I looked in great shape, I got a lot of injuries, probably due to the fact that I wasn't doing enough running and jumping, which is what I needed to do in the film." In the latest Bond film, Spectre, which opens on November 6, Craig gets to show off his vicious and lethal skills against the newest addition to the pantheon of Bond henchmen, pro-wrestler (and one-time MMA fighter) and actor Dave Bautista. And while Craig might be ambivalent about a lot of things Bond-related these days, he’s had nothing but positive things to say about their fight scene. "He moves so quickly and is so agile and for me, I think the sequences with him are all the more terrifying because of his presence," the actor recently told The Belfast Telegraph. "You just want to make the stunts as real and fresh as possible. 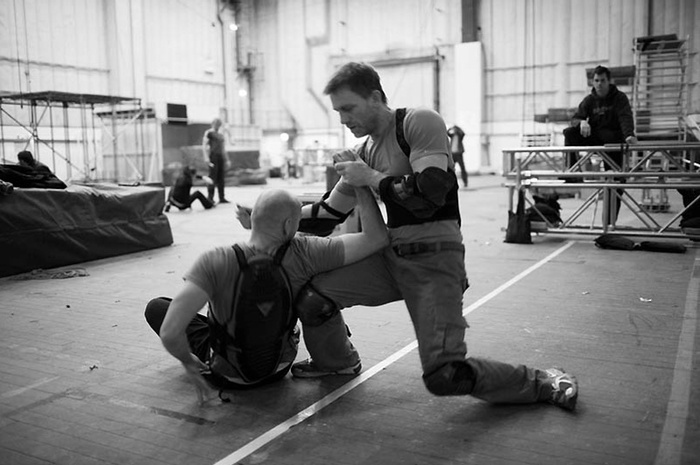 We try to do stuff that we don't think people have seen before, but having someone like Dave Bautista who spent most of his career being thrown around and throwing other people around, he really knows what he's doing and he's incredibly safe." Craig, as it turns out, wasn’t quite as incredibly safe. He admits to slipping and injuring his opponent during filming. Did Steven Seagal Really Break Sean Connery's Wrist With Aikido?